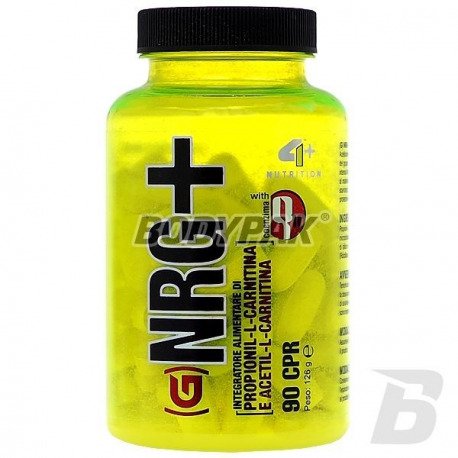 Fat LossFOURPLUS 4+ NRG+ - 90 kaps. FOURPLUS 4+ NRG+ - 90 kaps. One of the first product based on propionyl L-carnitine. This esterified form of carnitine, which strongly protects the heart and is responsible for its proper operation. 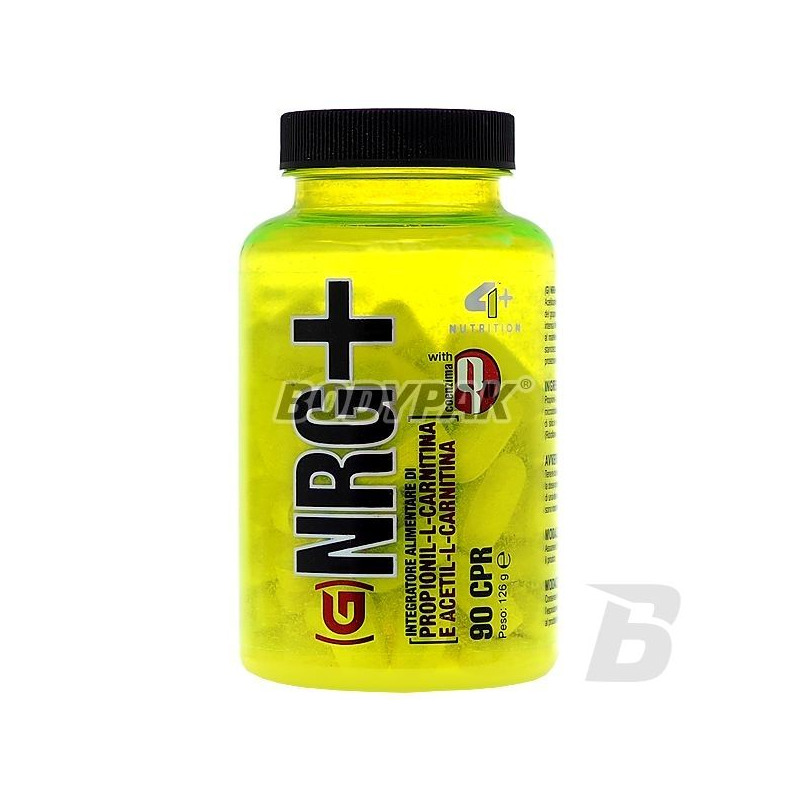 4+ + NRG is one of the first products based on propionyl L-carnitine. This esterified form of carnitine, which strongly protects the heart and is responsible for its proper operation. It acts as an antioxidant, and therefore prevents the overproduction of free radicals. Propionyl L-carnitine also functions to transport the fatty acids into the mitochondria. 4+ NRG + additionally enriched with B vitamins is to support the functioning of the immune system. Vitamin B2 - a basic vitamin, whose task is to create red blood cells and maintaining a proper state of hair, skin and nails. Vitamin B3 - is to reduce muscle tension, to ensure peace of mind and better sleep. Vitamin B5 - is responsible for the detoxification of the body, and at the same time providing it with considerable energy by speeding up the metabolism. Coenzyme Q10 - the last component of a complex mixture of selected NRG +, which both speeds up the metabolism and reduces levels of bad cholesterol. 4+ NRG + is a great solution for anyone who wants to enjoy good health throughout his life and has the intention to avoid unnecessary illness, or problems with atherosclerosis. 1 caps. Twice a day with a meal. Składniki: Propionyl L-karnityny, Acetyl l-karnityna, celuloza mikrokrystaliczna, koenzymQ10 (Ubidekarenon ), dwutlenek krzemu, stearynian magnezu, niacyna, kwas pantotenowy, witamina B2 (ryboflawina).